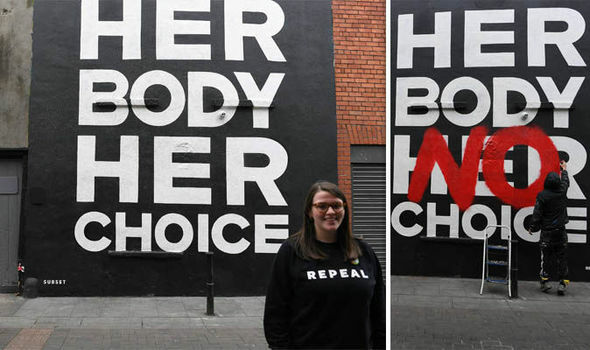 “Stop Shaming Women” and “Stop the Slaughter of Babies for Body Parts” are just 2 controversial examples that show what is happening in Ireland right now. The nation is divided, and people have to face a big dilemma, as they are called to vote “yes” or “no” to abortions on today’s referendum. 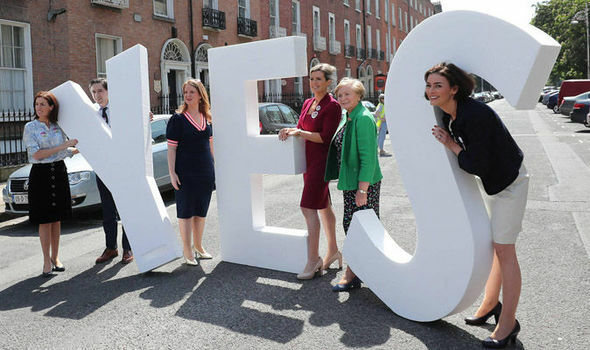 If Irish citizens will vote for “yes” today, it means that the government will be able to legislate on abortions and allow them on request up to the 12th week of pregnancy, which will bring Ireland into line with the majority of European countries. But if, on the other hand, citizens will vote for “no”, basically nothing will change. So what is the situation in Ireland now? Until now, Ireland is amongst the countries that have the most restrictive abortion laws in the world, as abortions are illegal unless a woman’s life is at substantial risk. The article 40.3.3 of the Irish Constitution (commonly referred to as the 8th Amendment) refers that a woman and the unborn have an equal right to life. Specifically, it states that “the state acknowledges the right to life of the unborn and, with due regard to the equal right to life of the mother, guarantees in its laws to respect, and, as far as practicable, by its laws to defend and vindicate that right”. However, this is not the first time that the Irish nation is called to decide on that matter, as this is the sixth referendum in the past 35 years. What makes it different from the others is the fact that this time the votes are not about small changes to existing law, but they will change the constitution, liberalizing abortions once and for all. 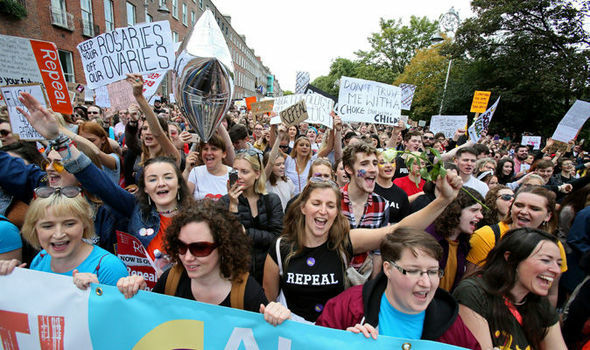 Ireland’s current abortion law is considered by many activists a human rights violation that has been depriving women of their right to life, health, privacy and equality, as well as their right to be free from torture and ill-treatment. 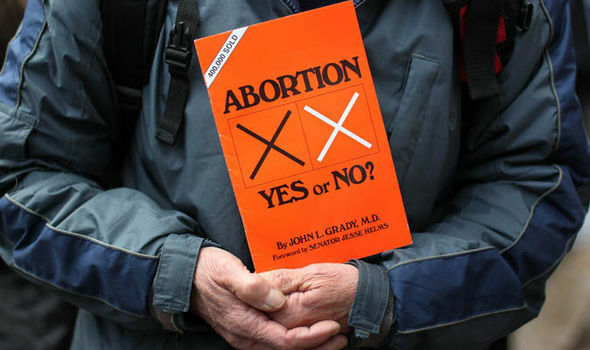 They also believe that this law does not prevent the abortions, as Irish citizens can simply travel abroad for an operation (something that state approves since 1992). According to Amnesty International UK, every day, at least 10 women and girls travel from Ireland to England for an abortion, while around 4,000 make the journey to Britain or elsewhere in Europe every year. Moreover, women might choose to buy illegally an abortion pill, with the risk of facing 14 years in prison, or can even end up performing “suicidal abortions” if they do not have the recourses to travel or to buy this pill illegally. These arguments are based on real life events throughout the history of Ireland that show the inadequacy of the current law. Firstly, Savita Halappanavar’s case on 2012 was the reason for many protests around the country, after an article with the headline “Woman denied a termination dies in hospital” went public on Irish Times. Savita Halappanavar was a 31-year-old woman, who even though suffered a miscarriage, the hospital stuff refused to provide her with medical aid to speed up the end of her pregnancy, because they were bound by Irish abortion law. As a result, she died of septicemia a week after she was admitted to the hospital. This is just an example of many other cases like this, including the case of Amanda Mellet, which reached the UN Human Rights Committee, because she was forced to travel to England to terminate a pregnancy with fatal fetal anomaly. This is why the supporters of pro abortion claim that if they win today, it will be a huge celebration after so many years of battles. On the other hand, the pro-life supporters, who often align themselves with religious views and in particular the Catholic Church, do not wish any change on the current law and believe that the fetus has the same rights as the mother. Both sides are relentless and they promise to “fight” till the end. Some of them are so dedicated that decided to travel from other countries abroad where they work/study and go to polling booths across Ireland to vote on the Eighth Amendment. With the hashtag #hometovote people share their stories and explain why it is important to travel back home and vote for this historic poll. Even Cambridge, Oxford, London and Nottingham Universities give grants to help students fly to Ireland, while a group on Facebook “Abroad for Yes” connects Irish people with sponsors to fund their trip to Ireland in order to vote. 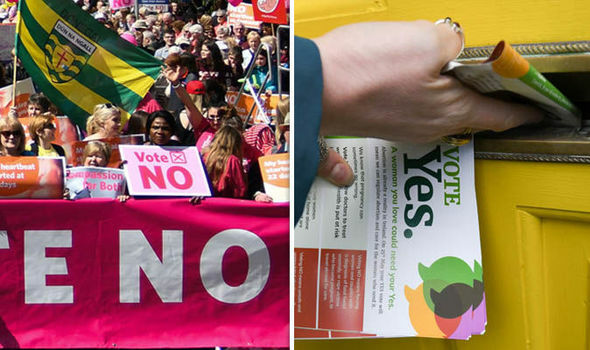 Either way, the government made the call to give Irish people the power to decide whether they will remain in the same situation regarding the abortion laws, or whether they will change the constitution that will give Ireland a freedom that is often taken for granted by other European countries.